Kindness rules. 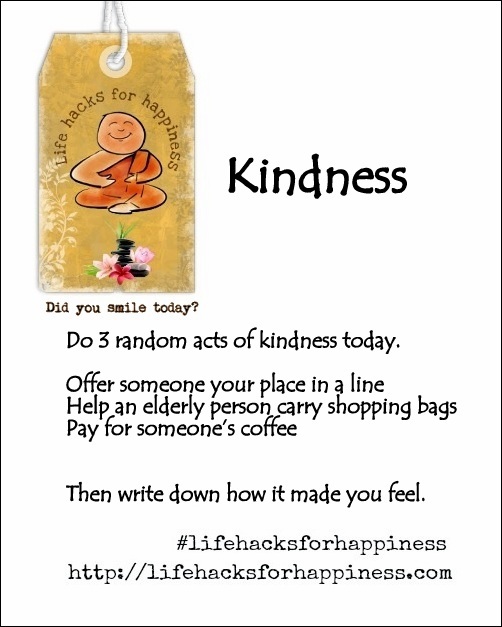 Do 3 random acts of kindness today. Offer someone your place in a line. Help an elderly person carry their shopping bags. Pay for someone’s coffee. Then write down how it made you feel. Ah, such good suggestions? But do you know what happened when I held the door for someone at the local public library today? The person snarled at me. That’s not the usual reaction I get. I shrugged and moved on. It won’t prevent me from doing it again. Hugs Alana! That’s the spirit! 🙂 I get that too. Especially the people who won’t smile back when ya smile back at them! Who knows what they’re going through!